Having a slow and rough Monday? 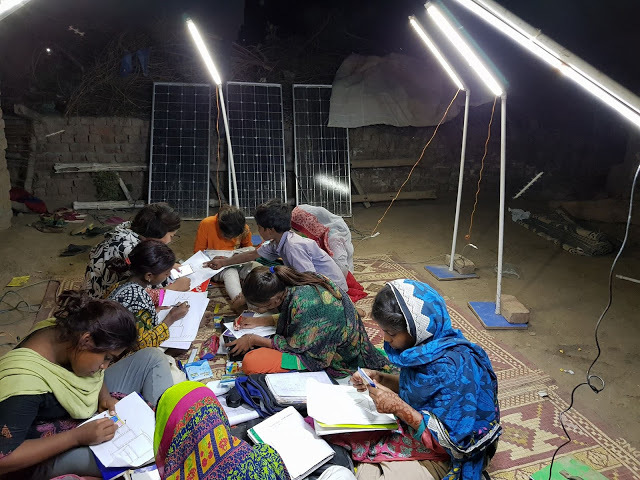 Same was our case until we came across these electrifying photos of Pakistan’s first ever solar night school. The Slum School is located in Faisalabad with a sole purpose to educate kids residing in slums along with empowering them with digital literacy. Energy generated through solar panels is responsible for powering this little school’s lights and fans. The school started off back in 2016 and since that time, the school is educating 100 dedicated and highly charged kids who are managing to work in the day and then study at night.